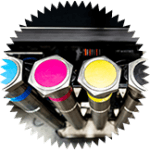 Colortec Creative Print Solutions offers high-quality digital printing services to customers all over Vancouver and the Lower Mainland. Colortec is more than a printer, we work to become an integral part of your creative team. Colortec Creative Print Solutions offers a wide range of digital printing services that go above and beyond our customers' expectations. From banners to wall murals and everything in between, view our suite of services below. Enhance your branding with custom printed decals. Everything from illuminated decals to floor decals. Colortec offers a variety of signage and displays for those looking for a colorful way to reach customers. 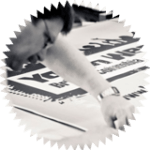 From foam boards to acrylic signage, we can meet all your requirements. Colortec offers backlit printing services that use high density inks that will make your sign pop when lit. A great way to enhance your business’ visibility, Colortec offers retractable and non-retractable banner stands that will give your company a boost at any presentation or trade show. Colortec offers custom signage printing for transit shelter ads, platform posters or interior car cards. Transform your space with indoor decor from Colortec. If you want to stand out at an upcoming trade show, Colortec can custom print signage or banners that will fit your budget and capture potential customers' attention. Ideal for providing safety and instruction in construction areas or for advertising in presentation centers, an assortment of site signage is available. A perfect alternative to backwall displays, Easy Tube Fabric Display Systems easily stretch over frames to create a seamless display. An inexpensive way to advertise products or services, Colortec’s A-Frames are available in solid wood or with interchangeable messages with metal frames. Ideal to promote, advertise or provide safety warnings, Colortec offers floor decals for your business. "It has been a pleasure working with Chris and the team at Colortec for many years. They go above and beyond to ensure product quality and timelines are met. I highly recommend them for any printing needs." Colortec measured their fifth greenhouse gas emissions inventory with Climate Smart. Since their 2013 baseline year, Colortec has reduced their overall emissions by 40%. Colortec Printing Solutions is a G7 Master Qualified Company. Learn more about what makes Colortec G7 Certified. Climate Smart has developed a reduction plan targeting all their emission resources – electricity, heat, transportation, waste, paper consumption, and staff engagement – through various emission reduction initiatives.